It seems like no one can catch a break this hurricane season. 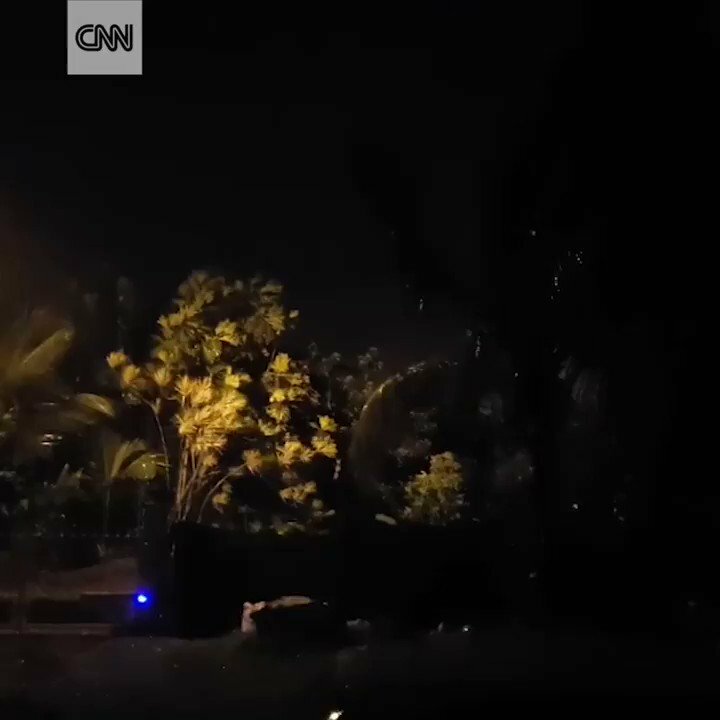 Many islands, including the US territory of Puerto Rico, are taking a second hit from Hurricane Maria just over a week after Hurricane Irma tore through the region, and in their already weakened state, the damage could take out the power indefinitely. 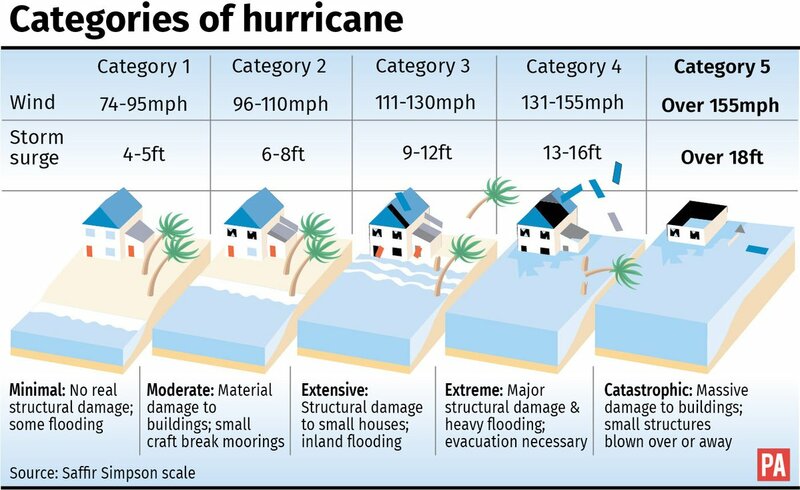 Hurricane Maria reached Category 5 levels yesterday just before making landfall in Dominica. The small island was absolutely devastated. No respecter of persons, it even ripped the roof off of the home of the Prime Minister. Dominica has a population of 72,000 people and is 289 square miles. During the storm’s siege on Dominica, it had maximum sustained winds of 150 mph and was downgraded to a Category 4, then an hour later, regraded to a Category 5. After hitting Dominica, Hurricane Maria when past Martinique and Barbados causing little damage. The island of Guadeloupe, however, has lost all communication, so we don’t know how bad the damage was there at this time. This video was uploaded before communication was lost. Hurricane warnings have been also posted for the U.S. and British Virgin Islands, St. Kitts, Nevis, Montserrat, Martinique, and St. Lucia. A tropical storm warning has been issued for Antigua and Barbuda, Saba, St. Eustatius, St. Maarten and Anguilla. Puerto Rico, a United States territory, sustained a billion dollars in damage from Hurricane Irma, and now they’re up for Round Two, expecting a direct hit from Hurricane Maria tonight or tomorrow morning. Hurricane Maria has regained power and is again a Category 5 storm. The governor also imposed rationing of batteries, milk, canned foods, flashlights and other supplies. Fuel was not rationed. (source) With supplies being doled out like this, there is absolutely no chance at this late hour to prepare for the long haul. If someone isn’t well-prepared already, it’s too late to do more than the bare minimum now. Puerto Rico is facing an active hurricane season with little financial ability to navigate a natural catastrophe. It filed for bankruptcy in May after years of economic decline and borrowing to fill budget gaps. A series of defaults have effectively left it unable to raise money in the capital markets. And its aging government-owned electric utility, the Electric Power Authority, is also operating under court protection from creditors. Puerto Rico’s emergency fund stood at about $32 million before Irma passed through. Prepa Executive Director Ricardo Ramos Rodríguez recently said the powerlines carrying electricity in the public corporation’s system are in such a deteriorated state that a strong storm could leave the island without power for weeks. “To give you a number, if during Hurricane Georges 100 lines went down in 1998, today the same [kind of ] hurricane would bring down 1,000,” the official candidly told Caribbean Business when asked about the possibility of Prepa’s system effectively withstanding the onslaught of a similar storm. …Francisco Guerrero (a fictitious name to protect his identity), a Prepa field worker for 23 years, said it would take months for Prepa to bring up Puerto Rico’s power system should a hurricane like Harvey strike the island. The lack of linemen and other technical personnel, as well as a lack of equipment—including replacement utility poles for powerlines and replacement parts—are the issues of greatest concern among public corporation employees, who say they risk their lives working with equipment in poor condition that provides them with little safety. Guerrero said that today only 580 linemen remain out of the 1,300 who were part of the workforce in previous years—and that’s not counting the upcoming retirement of another 90 linemen. Likewise, he said there are only 300 electrical line testers to serve the entire island. The source also said that much of Prepa’s equipment dates back to the 1950s—and the more “modern” equipment that is still functional dates from the 1990s; in other words, it’s from the past century. “If a hurricane like this one [Harvey] hits us, the system is not going to come online, I’d say, in over six months. Right now, the warehouses don’t even have materials. I’m talking about utility poles and other stuff,” Guerrero explained. “How can you say that you have equipment that dates back to the 1950s and you are not buying parts to repair them? When it’s time for maintenance work, you don’t have the part and you leave things as they are, but there is an entry in the log saying maintenance was done. And yes, it was done, but the most important thing was not done, which was to replace that part,” he added. If you are in the path of a hurricane and you are unable to evacuate, these tips may help. While it is too late to purchase supplies, some of the other ideas in this article may be helpful. Remember that surviving the storm is only a small part of the battle. It’s the aftermath that is the true challenge. Can you imagine living without electrical power for six months? This will completely change their way of life for many residents of Puerto Rico. Yesterday, I wrote about people in Florida who are facing a few weeks without electricity, and suddenly, that doesn’t seem nearly as bad. At least on the mainland, there’s the possibility of leaving the area. On the mainland, you can get supplies. On an island, you’re totally isolated. Think for a moment about how quickly this has gone down. The country was already bankrupt, but now, with a one-two punch of natural disasters, there’s little way for them to recover. Unless a person was already well-prepared, there is not much chance of them stocking up now. In less than two weeks, everything could change for millions of people. If you take no other lesson from all of this, consider how fast things can happen and stop procrastinating. Get prepared.